Thirty years ago two brothers from Sevenoaks in Kent (neither called Harry) recorded a track in a cupboard under the stairs, starting them on a pioneering course that would serve to help shape the future of electronic music. 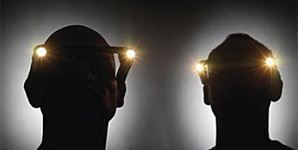 Paul and Phil Hartnoll formed Orbital in the death throes of the 80s against a politically charged backdrop of impending Poll Tax and a growing concern about illegal raves. Their brand of nuanced electronica became synonymous with an era that was at times described as subversive and dangerous. In truth, it was probably the start of the most exiting, game-changing development in popular music and it's associated youth culture since Punk. Three decades on, the brothers Hartnoll are still at it and still pushing the boundaries of their genre. 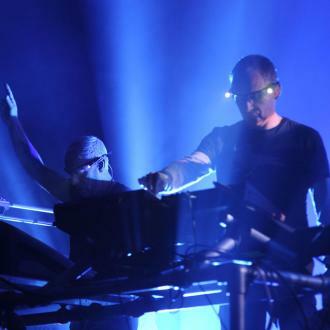 Orbital brought their spectacular show to the East Kent coast at the weekend to the delight of a variety of ravers. There was no disused warehouse, no underground movement, no cryptic clues as to where to head and, thankfully, no police intervention to break up the party. Today's Oribital show was all above board, literally out in the open and all inclusive. Margate's rejuvenated jewel Dreamland played host to a very special event that for some brought back the hedonistic delights of the past and for others delivered a magnificent glimpse of a seminal EDM act. 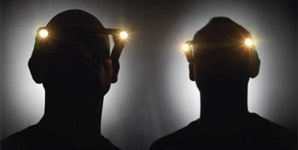 Through the course of a punctuated career as Orbital, the Hartnoll brothers have endeavoured, and largely delivered on, changing and shaping the sound of the moment. With a political landscape of similarly monumental proportions to that which accompanied the band's birth, to help inspire their most recent work they have seemingly been given the fillip that they needed to release some of their best work in years. 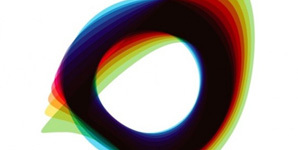 With their new album 'Monsters Exist' due out in September and on the back of two of this year's most original singles, it was certainly a great time to catch Orbital approaching a new high. Orbital are splitting after 25 years together, though Paul Hartnoll will release a new solo album. Orbital have announced they are to split after 25 years performing together. The dance duo has been a mainstay on the festival circuit, both domestically and internationally, but will call it a day to pursue other projects. 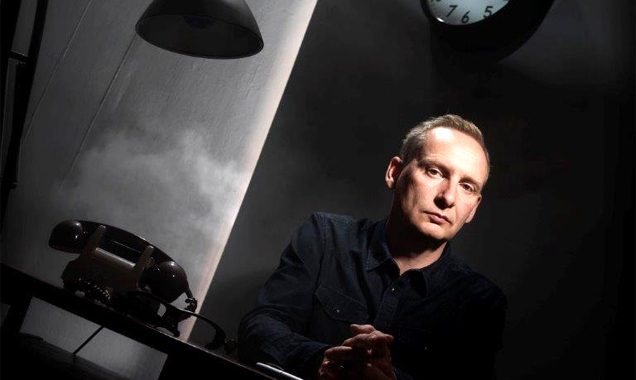 In a press release announcing his new solo album, Paul Hartnoll said: "Orbital had stopped working properly. We had a great four years since getting back together in 2008, but it was time to move on." It is always a cause for concern when any group returns to the music industry after a sustained period of absence, especially when they were once seen as key players in their genre of music. I wish I could be interested in this single, I really do. I wish that I could sit here and tell you that Orbital's first single in six years was a triumph and an excellent return to form. It actually hurts me, in fact, to report that what Orbital have actually released is an astonishingly dull techno/trance song that sounds for all the world like it's being sequenced by a Mega Drive (Which was cool about three years ago), with all the creative thought of a wet flannel. Keen listeners will recognise a sample from Buggles' "Video Killed the Radio Star", others won't; but it doesn't matter because it's repeated so many times in the track that it'll drive anyone absolutely spare within a couple of minutes. Another sample is simply of a woman screaming "shut up!" increasingly angrily, and I must say that I found myself agreeing with her more and more vehemently as the track shambled along (For a full six minutes) without achieving anything of any real worth or note. 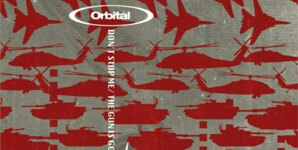 Review of Orbital's album Orbital 20 released through Rhino. Review of Orbital live at Leeds Academy on 11th June 09.